With first class cable and wire processing equipment, DGM4Part’s capabilities to process any and all types of raw cables and wires are limitless. We can cut, strip and terminate all materials to customer specifications with the highest quality and superior workmanship in the industry.DGM4Parts manufacturers round cable assemblies for customers in all industries. High or low voltage. From robust and harsh industrial applications to intricate and delicate medical applications, we deliver quality workmanship on time. Many custom cable assembly and wire harness assembly terminations require hand soldering. 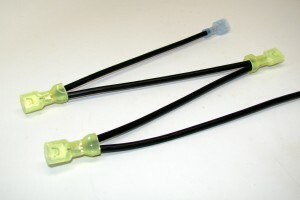 The reliability of these connections is based on the solder joint workmanship and quality. To ensure that a high standard of solder workmanship and quality is maintained, these types of connections are performed only by highly trained technicians. 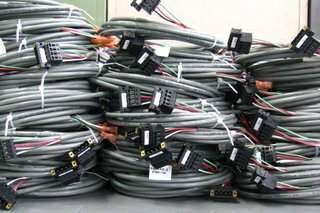 DGM4Parts Â manufacturers wire harnesses for all types of industry customers. From small board builds to big board complex builds, Â produces quality harnesses. Single piece to mass production, customers find our product workmanship the best in the industry and our product reliable. We work to meet the customers’ needs: fit, form and function, as well as cosmetic appeal.